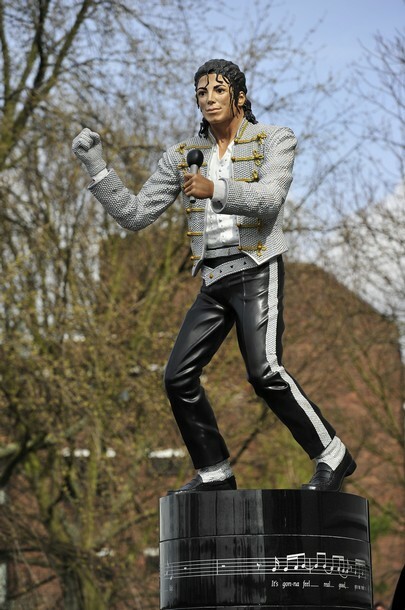 I turned down a ticket to see Fulham v Blackpool at Craven Cottage today - and in doing so I've missed the best thing ever, the Michael Jackson statue unveiled by Mohammed Fayed. See some more pictures of it here on the Mirror website - you must have a look! Fayed saying that anyone who doesn't like it can "go to hell" is a bit harsh though and I thought his comments were off the wall. The match itself is set to be a thriller. That's just BAD. But then everything's not BLACK OR WHITE. ANOTHER PART OF ME thinks you're a SMOOTH CRIMINAL. Now go away and LEAVE ME ALONE.